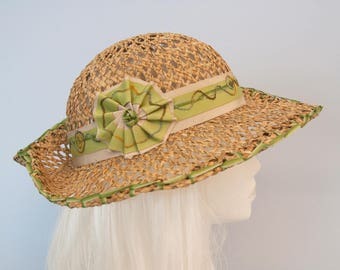 A lovely, dressy hat made of airy sinamay straw — perfect for hot summer weather! 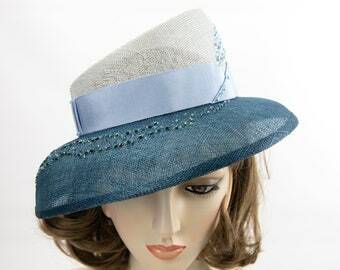 This hat would love to be worn to church, to a fancy picnic or to a racing event. Crown is vintage emerald green straw. Brim is of lime green sinamay. Both are blocked by hand on wooden hat blocks. 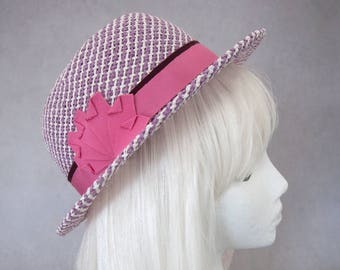 The brim is slightly narrower at the back and wider at the front and side. 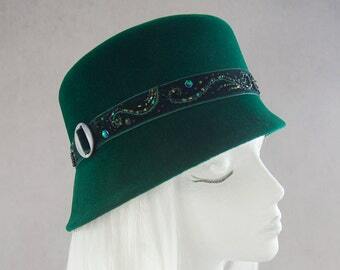 Embroidered swirls in green ombre decorate the brim. Wired to hold its shape and bound in emerald green ribbon. Unlined inside. 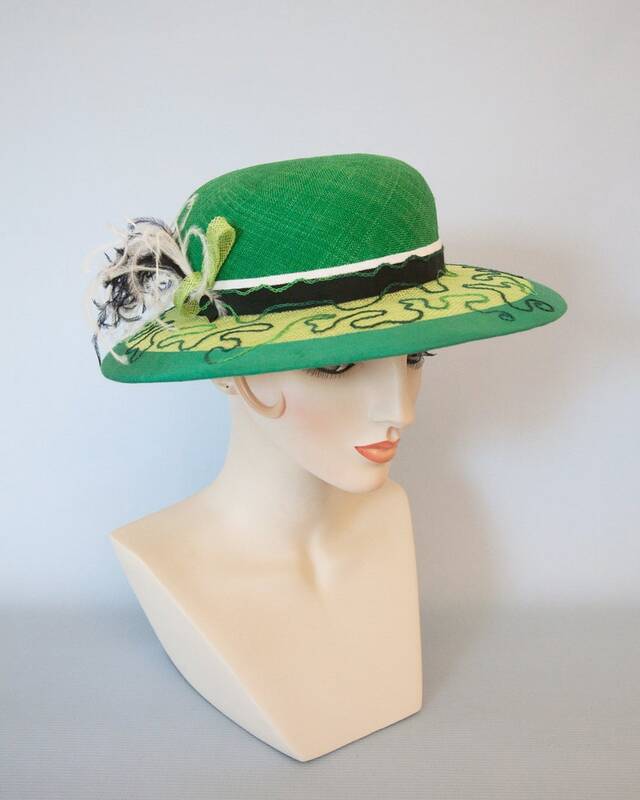 Finished with a light green grosgrain head-size ribbon and a Silverhill Creative Millinery label. If you plan to wear it tilted, the best way to do this is with an elastic that will slip behind your head and under your hair. You can choose this option (and color) at checkout. 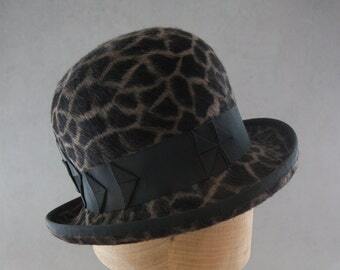 This is a one of a kind hat, designed and created exclusively by me for Silverhill Creative Millinery. 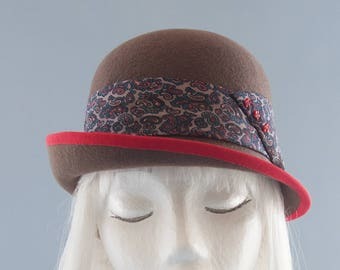 100% hand made in my Vermont millinery studio. 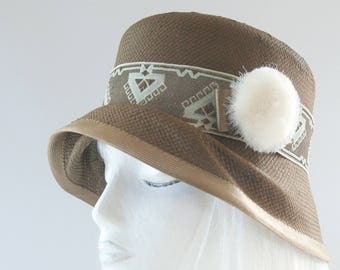 All hats are made using traditional, couture millinery techniques (i.e. hand-sewn, no glue, etc.). Veiled Bridal Hat. 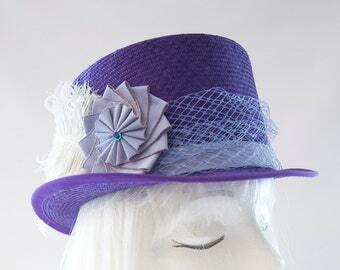 Ecru Sinamay Straw Fascinator w/ Beaded, Embroidered Flowers. Cream Wedding Headpiece. Birdcage Veil. Bride Cocktail Hat.